Citalopram (cipramil/celexa) Escitalopram (Lexapro/Cipralex); Same product? 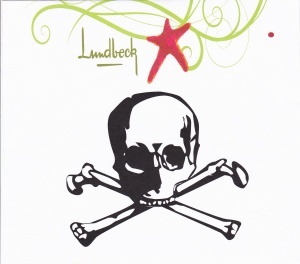 In 2003, an article in the British Medical Journal (BMJ) stated that the Danish drug company Lundbeck was found by the drug industry’s watchdog to have breached the UK industry code of practice. The breach was due to the way Lundbeck advertised citalopram, the successor to the top selling Citalopram (Cipramil). The company claimed that its new offering, escitalopram (Cipralex), was more effective than citalopram, even though the two drugs have exactly the same active ingredient. Escitalopram reached the market in June 2002, just as citalopram’s British patent ran out and the first generic competitor went on sale in Germany. The new drug is identical to the old one, except that an inert isomer has been removed from the formulation. Critics contend that this practice is designed to win a new patent without the need to develop a genuinely new drug. Lundbeck was called before the Prescription Medicines Code of Practice Authority after a complaint from Dr David Pyle, a psychiatrist at Bronllys Hospital in Wales. The company was found to have breached the industry code on five counts, notably by claiming that “Cipralex is significantly more effective than Cipramil in treating depression.” The company also attributed adverse effects to citalopram in its literature on escitalopram that were not mentioned in promotional material for the older product. Full article. Now there’s a surprise! Strange then how Forest Labs (Lundbeck’s American licencee for both ssri’s) can send out a “Dear healthcare professional” letter 5 years later warning of switching patients from Lexapro to a generic SSRI, including citalopram. The letter claims that the clinical profile of Lexapro and citalopram are distinct and there is clinical evidence for the greater efficacy of Lexapro vs. Celexa. Not only that, but the letter still claims that Lexapro/Cipralex was significantly superior to Celexa! So two products with exactly the same active ingredient as each other, how can one possibly be significantly superior to the other? And how are Lundbeck and Forest Labs still getting away with fraud and deception? You still there Howard? What about you Ulf? Previous postSolicitors letter from Professor Casey and my right to freedom of speech! Next postAnother Citalopram death and the medicines regulators still doing sweet F.A. Cipralex is the drug, Nadia Kajouji, Carleton University student in Ottawa, Ontario was taking when she committed suicide by jumping into the Rideau River in the wintertime in 2008. Her body was found after the ice broke up in the spring. She had been taking the antidepressant prescribed by a Carleton University psychiatrist for three weeks. Of course that is just a coincidence because everybody knows SSRIs don’t cause suicide.